What happens when a group of courageous athletes and a team of dedicated volunteers come together with the undying support of friends, family, and community? You get a dynamic sports program with unlimited potential. You get the Valencia SNAP Flyers! In March of 2012, the Valencia SNAP Flyers were born, and we are all in the process of writing their history! SNAP helps give special needs athletes the opportunity to play sports, and the program has far reaching positive effects both on and off the ice. Special Needs Athletes & Peers (S.N.A.P.) Hockey provides athletes the opportunity to play in an amateur-style ice hockey program, under the close supervision of peer athletes and coaches who collectively bring over 50 years of experience to the ice. The program is dedicated to providing an enriching experience to our athletes, who in turn are dedicated to being the best they can be! Dreams do come true, if you have the courage to pursue them. 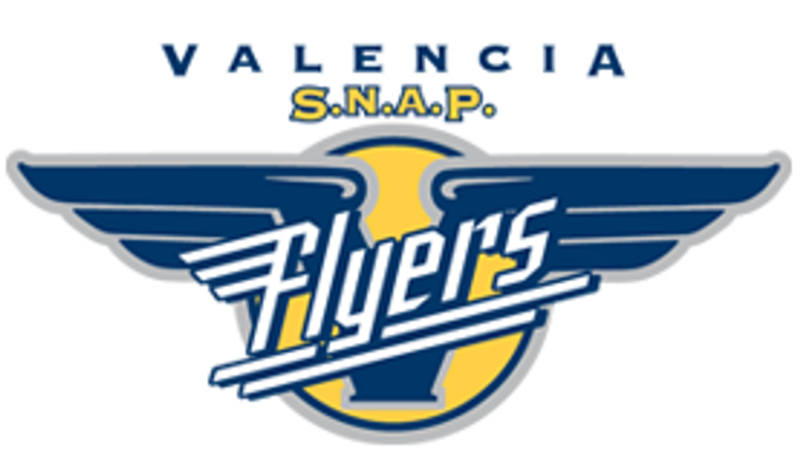 We are the Valencia SNAP Flyers! !